Comrade Aleks talks to half of Finnish Doom/Metal outfit Wolfshead about their 2017 debut full-length, and - as a bonus - gets to find out a little more about guitarist Ari's other project Deep River Acolytes. "It's kind of cheating, but I put my foot down and decide to kill to birds with one stone. I've had it in mind for a few months that I should sort out some things and interview the gents in Finnish Heavy Metal/Doom band Wolfshead, who had their debut album 'Leaden' released on Rockshots Records in October 2017… Well, I waited long enough that another band of one of the Wolfshead pack released their own album as well. I'm talking about Deep River Acolytes and their debut 'The Hour Of Trial', which saw the light of day in February through Via Nocturna. Thus, we have one interview: two men, each of them speaking for themselves, who sometimes cross paths. 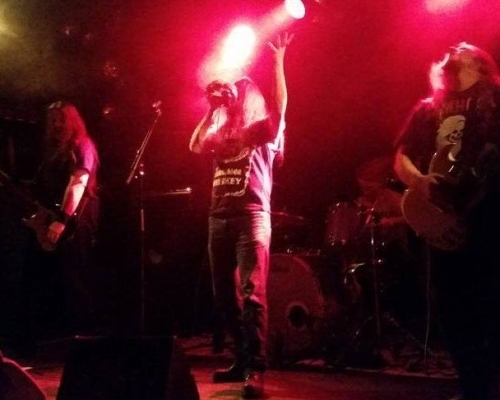 Welcome to bass player Vesa Karppinen (also of Fall Of The Idols and Black Christ) and to guitarist Ari Rajaniemi (also of Deep River Acolytes and Torture Pulse)." Talking to Aleks today: Vesa Karppinen and Ari Rajaniemi. Hail gentlemen! 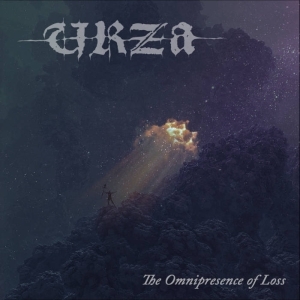 The spring is in bloom, birds are singing...so why not return to a dark winter mood with some proper Doom material? And Wolfshead have something to offer, but what should our readers know about the band? What are the main facts you would point to? 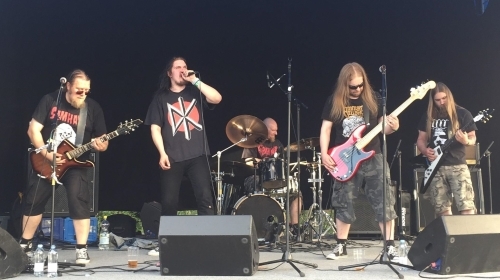 Wolfshead is a heavy/doom metal band from Oulu, Finland, featuring vocalist Tero Laine, guitarist Ari Rajaniemi, bassist Vesa Karppinen and drummer Jussi Risto. 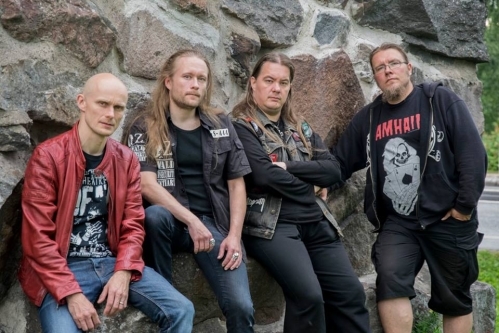 The band was formed after a discussion between old acquaintances Vesa (of Fall of the Idols fame) and Ari (of Torture Pulse and Deep River Acolytes/Deliverance) had in Helsinki in April 2011. Mutual buddy Jussi joined the guys at the first rehearsals in September 2011 and after few months Tero joined to complete the lineup. Wolfshead's musical style lies somewhere between Black Sabbath and Venom, Candlemass and Motörhead. 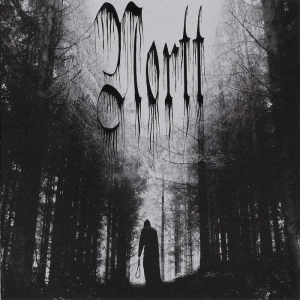 Wolfshead was formed in 2011, and two demos and one EP, 'Caput Lupinum', appeared one by one, but the full-length 'Leaden' only arrived in October 2017. What slowed you down? Vesa: Have we slowed down? The first demo came out in 2012, second in 2014, "Caput Lupinum" came out in 2015 and "Leaden" last year so we've been quite regular if not prolific. The same applies to playing live. Reason why we haven't put out more stuff is that band members are involved in other bands too, and the fact that we're not young guys who can spend most of their time at rehearsal room but middle-aged men with jobs, studies and families. The band performs old and pretty traditional Doom with classic Heavy Metal elements. Do you feel that people are searching for this today? Do you feel it's the right time? Vesa: I might say it is the other way around, that we're a heavy metal band with doom metal elements. We've been labeled as heavy/doom, NWOTHM, even hard rock. But there's no denying the doom element, and it might as well be that we're getting doomier. To be honest I don't care if our stuff is in line with what people are searching for. I don't care about trends and with Wolfshead we don't have any predecided formula to which we're supposed to stick to. We write what feels good to us, and because we love classic heavy metal and doom metal the results are what they are. 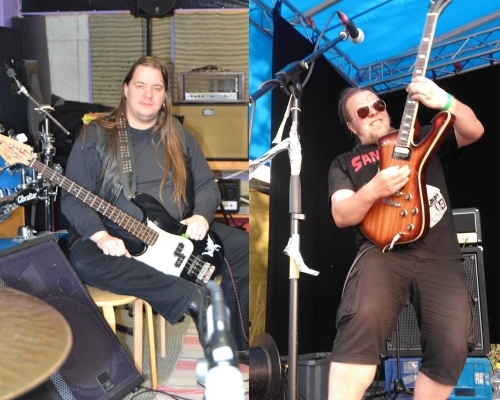 Wolfshead: Jussi Risto (drums), Tero Laine (vocals), Vesa Karppinen (bass), Ari Rajiniemi (guitars). The band's lyrics are rightly connected with horror movie topics. Which movies besides "Children Shouldn't Play With Dead Things" influenced your songs? Vesa: "Mark of the Devil" which is on "Caput Lupinum" is of course based on the movie of the same name. Cathedral's Hopkins (The Witchfinder General) has samples from it, and "Purifier" is based on same sources. "Vukodlak" is based on "The Wolfman" and "An American Werewolf in London". So horror films have provided lots of inspiration and content for our lyrics. How do you see this special connection between Doom metal and horror movies? Is it just because Black Sabbath set this trend? Or maybe other Metal genres have their share of horror movie influences too? Vesa: I think being influenced by horror movies is universal not only in the metal genre but rock music in general. The beginning of the Second Golden Age of Horror Films spearheaded by Hammer Films coincided with the birth of rock'n'roll in the mid 1950s. The heyday of British Horror Films lasted until the early 1970's and the birth of metal as a distinct metal genre so along with urban proletarian youth experience horror movies are a part of the DNA of metal. We simply are enthusiasts for that certain genre of cinema. And if your music is heavy it simply is more appropriate for lyrical content to be influenced by horror films than stuff like the English Patient or Pretty Woman. But not all of our songs have their lyrical basis in horror. Actually I'm used to the answer that the lyrics have not much importance for musicians: what about you? Vesa: Of course it would be silly for Tero for only to make noises so lyrics do have some importance. But I think they are only one element along with riffs, vocal and lead guitar melodies, rhythm and beat. Did you start writing songs with a general idea of the lyrics? Why do you think such music fits such stories? Vesa: Music comes first, and instrumental parts are usually thought out before the work on vocal melodies and lyrics begin. There might be an idea what the song could be about lyrically, and finalized lyrics usually are cobbled together from ideas and lines of several members. 'Leaden' was released about seven months ago, and recorded even earlier: what's your planning towards a new album? Do you aim to release something new in 2018? Vesa: We've started to write new tracks but it is very unlikely that we'd release anything new for the public this year. I think recording and releasing our second album will take place in 2019/2020. But if an opportunity arises, like an invitation to participate on a split LP, that could change. Do you see prospects for a tour for Wolfshead? Actually I'm asking 'cause I have companions for you - Wolf Counsel and Wolftooth! What do you think? Vesa: If given opportunity, we would love to tour abroad. And in my opinion we're definetely a live band. I guess with those bands it would be the Wolfpack Tour! Doom-related gigs and festival happen here and there quite regularly - do you search for opportunities to play live as often as possible, or is it OK for you to play a few times per year just to keep in form? Vesa: Getting gigs at least here in Finland is getting more and more difficult. Many of the rock/metal bars/venues have closed down, overall popularity of metal has dwindled with rap music becoming popular and the amount of people who go to see live bands regularly has come down. Because of that we've been only able to play live a few times a year. We seldomly turn down gig offers and try to take any opportunity which is feasible. I think Central Europe would be more receptive to our kind of stuff and we hope to play there some day. How do you see the necessity to play live, as the Doom scene still remains a kind of narrow territory, with a lesser number of followers compared to the Black Metal or Heavy Metal scenes? Vesa: To me it has never been about the size of the crowd. In general I consider playing live important - the stage is where bands ability is weighed. We've shared the stage with all kinds of bands - from Lord Vicar and Hooded Menace to bands which are closer to Bon Jovi than Saint Vitus, so we don't limit ourselves to playing with only doom and old school heavy metal bands. The situation being as dire as it is the underground scene needs all support it can get regardless of genre limitations! Vesa, you were a main part of Fall Of The Idols for years, and for years the band has been silent. I remember six years ago you said that the fourth album is almost composed. Is there any chance we'll see it one day? Vesa: Yes. Instumental parts for that album have been recorded and Jyrki is working on vocals. The plan is to release both an album and EP. I cannot give any guesses when those would come out, but some FOTI-related activities might take place before the end of this year, emphasis on might. And the next question is for both of you… What's the essence of doom for you? What's it all about? Ari: Acknowledge the fact that you're doomed and become a friend of hell! Vesa: Sober outlook on the fact a human life is best described as sexually transmitted tumor like growth which will inevitably lead to death and the only thing our species has really excelled in is murdering, enslaving and torturing our own. Doom is about stating this fact, not necessarily with a misanthropic note but with slight regret. Ari, you also play in Deep River Acolytes - a band that was formed from Heavy Metal act Deliverance. How did you manage to change its sound to a more doomy one? Ari: Well actually it hasn't changed really. DRA's new one "The Hour of Trial" is pretty much in the same vein as Deliverance's full-length 'Relentless Grace'. But we surely have that more doomy/bluesy side also as you can hear on our 2015 EP. And we have an album full of more or less doomy material somewhat ready... kind of Danzig meets Iommi stuff. Metal Archives hints that the band's lyrical themes deal with H.P. Lovecraft and politics: would you agree with that? Ari: Yes we have some Lovecraft inspired lyrics and "politics" could mean anything really... but we're surely not a "political" band. Some DRA lyrics can be understood in many ways. For example "The Unknown Grandeur" is about writing a song but you can easily take it as a death yearning thing etc. Other keywords for lyrics could be: horror stories, occult, eco-fascism, religion, anti-religion, madness, obsession, perversion. Deep River Acolytes: AR (guitars), JT (vocals), PV (drums), EK (bass), TH (guitars). "Eco-fascism"? But Finland seems to be an "eco-friendly" country: what attracted your attention to that topic? Ari: The term meaning that it's desirable to decrease the earth population regardless of the means. For example the lyrics in "Salt of This Earth" are about human scum being doomed for our failures as a species. Ari, it seems that you worked on Deep River Acolytes' full-length 'The Hour Of Trial' at the same time as on Wolfshead's 'Leaden'. How did you separate one band from another in your mind? How did you share the ideas between two bands? Ari: Well that's never been a problem really as they are different bands. But you know, you have to do what you mean and mean what you do while doing it haha! When writing stuff I can tell if a riff is for Wolfshead or DRA. Riffs for Wolfshead are roughly half and half with Vesa and me. Wolfshead songs are usually shaped by jamming together as a band and my DRA stuff is mostly demoed more or less ready by me and then shown to the other guys. Vesa: Ari is right about that jamming aspect. If I bring a song idea from home to the rehearsals it usually changes - for the better - a lot before the song is finished. There are a lot of doom bands nowadays, how would you describe Deep River Acolytes' features? What makes the the band different from others, from your point of view? 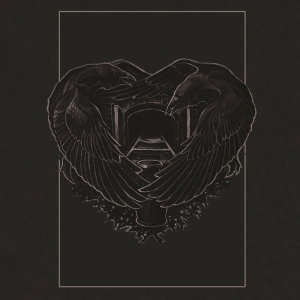 Ari: DRA is a heavy rock/metal band with some doomy elements... But I guess we have a unique style and sound and it's natural to us to twist things a bit. It can be a cosy feeling to get lost in the woods, you know. Thank you for the interview, gents! Well, I don't know… how would you like to finish it? Ari: Thanks for the great questions Aleks! While being doomed let's get the best out of it. And stay heavy! Vesa: I concur Ari's sentiment. Thank you! Interviewed on 2018-05-15 by Comrade Aleks Evdokimov.